Update 9/4/2014 - New York wasn't getting counted in my spreadsheet. Fixed. This is the first in a series of posts giving some of the results from the fly fishing for carp survey. 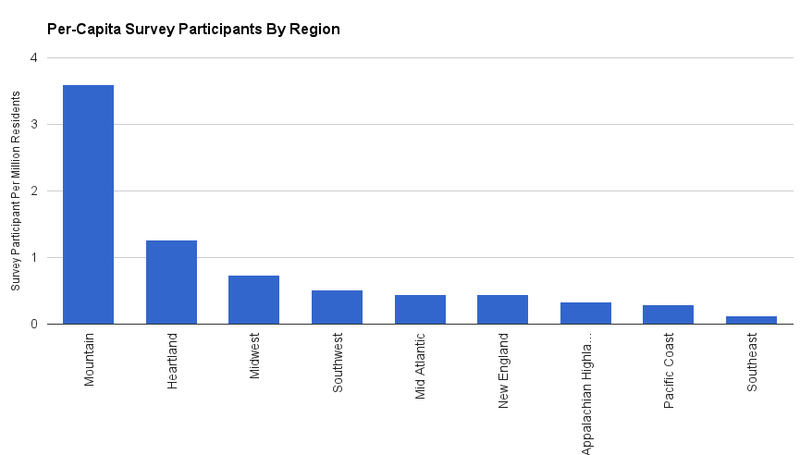 With more than 200 participants we have enough data to have some fun with the numbers. First we will try and find the regional epicenter of the revolution. 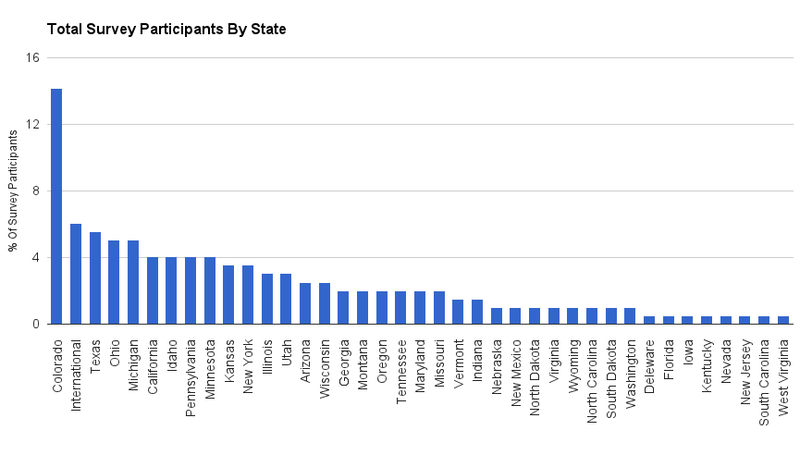 If we look at the raw numbers by state Colorado had the most participants by a very wide margin. I think there is no real surprise to those of us chasing carp in Denver. After all, it can occasionally be difficult to find an open hole on the Denver South Platte. The reasons are pretty easy to understand. First of all, Colorado has the highest concentration of fly fishers in the country. The more trout fly guys the more bored trout fly guys looking for a new challenge. Additionally we have had our own in-state fly fishing for carp living legend Barry Reynolds spreading the gospel to local guys for over 15 years. 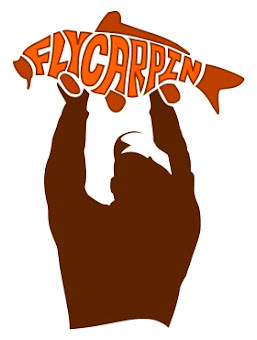 On top of that, Denver hosts Carp Slam - one of the oldest and most successful fly fishing for carp tournaments. Instead of looking at the raw participants we should probably look at the number of participants on a per-capita basis though. Colorado still comes out on top but the next biggest (Idaho) may be a big surprise to some . Colorado and Idaho have allot in common though. 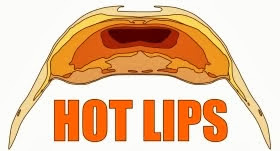 Primarily Idaho also has many bored trout guys and also hosts a carp tournament with a long and proud heritage. The next one in line (Vermont) is a big surprise - especially since it sits smack dab in the middle of a region where the fly fishing for carp revolution doesn't seem to have much of a foothold. 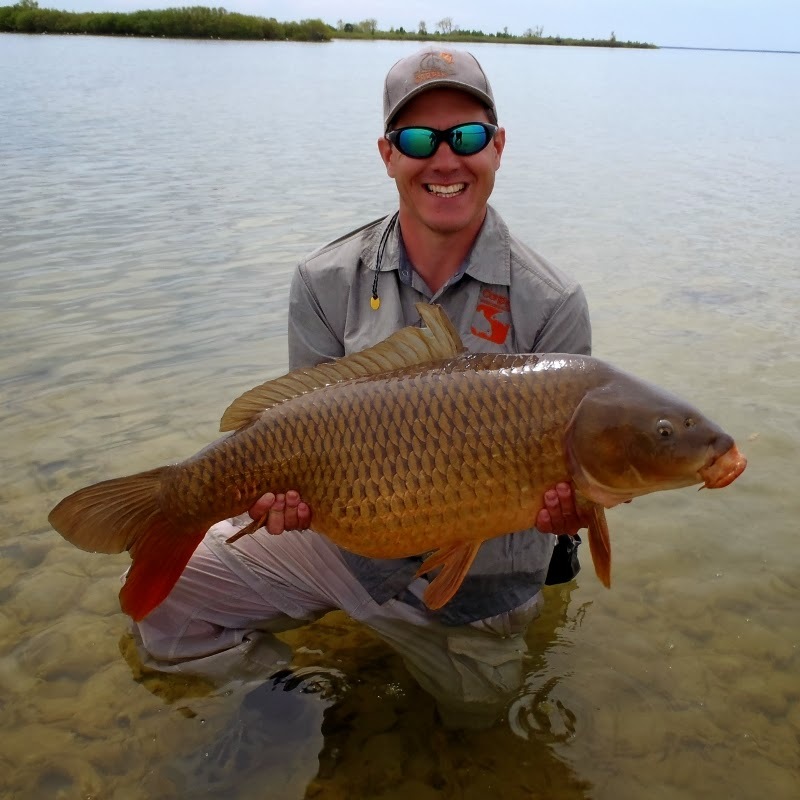 I have no idea why, perhaps we can blame Lake Champlain which is reputed to be an excellent carp on the fly fishery. Of course, the truth is that 200 participants is not enough to really split 50 ways. 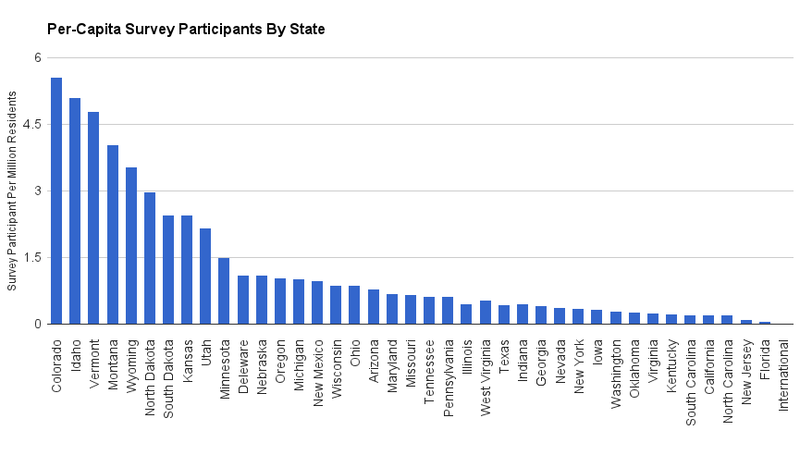 Some of the states that are high in the per-capita list only had a couple of participants but don't have allot of population. Instead we should step back and look at the big picture, so I re-calculated the per-capita by region instead of by state. The trend is clear. The western mountain states region is the current epicenter of fly fishing for carp by a large margin. I cannot say how much of this is due to the fishing and how much is cultural but it is interesting. Didn't know there was a survey. There are quite a few flyfishers chasing carp in the drainage canals in and around New Orleans but as far as the state of Louisiana goes, I doubt there are many. There are, after all, countless species to chase with a fly from bass and bream in fresh to redfish and speckled trout in the marsh to Cobia, King Mackerel, snapper, etc out in the Gulf of Mexico. Will you have the survey questions/answers posted at some point? There is absolutely no doubt about it - that is a major consideration. 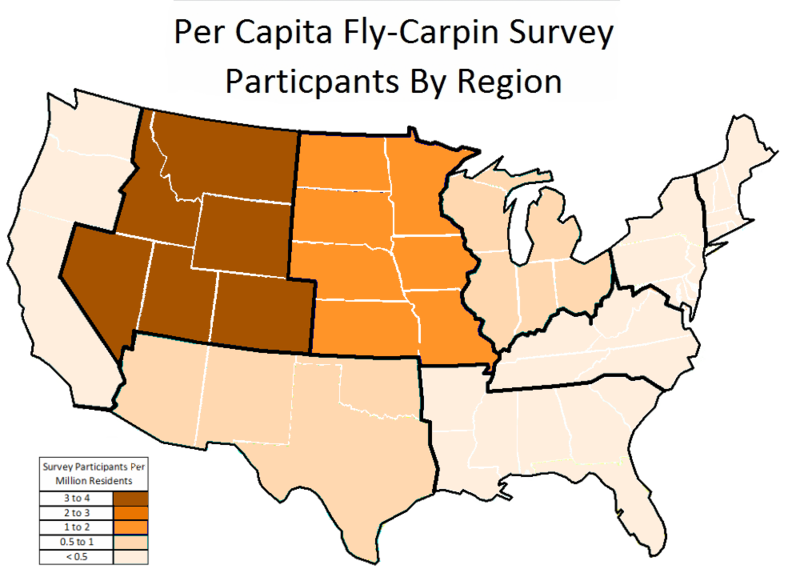 I also think that is why Michigan and Oregon (two of the best places for fly fish for carp) don't show stronger. 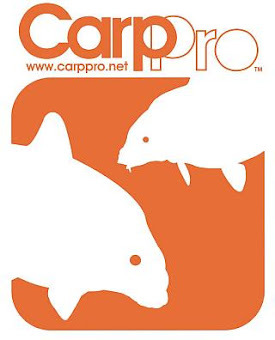 They both have excellent big fish options beyond carp. This was interesting, nice work McTage! I can also see Kirk's point, he has not only so many species to chase but carp like ones as well. Very True Gregg. 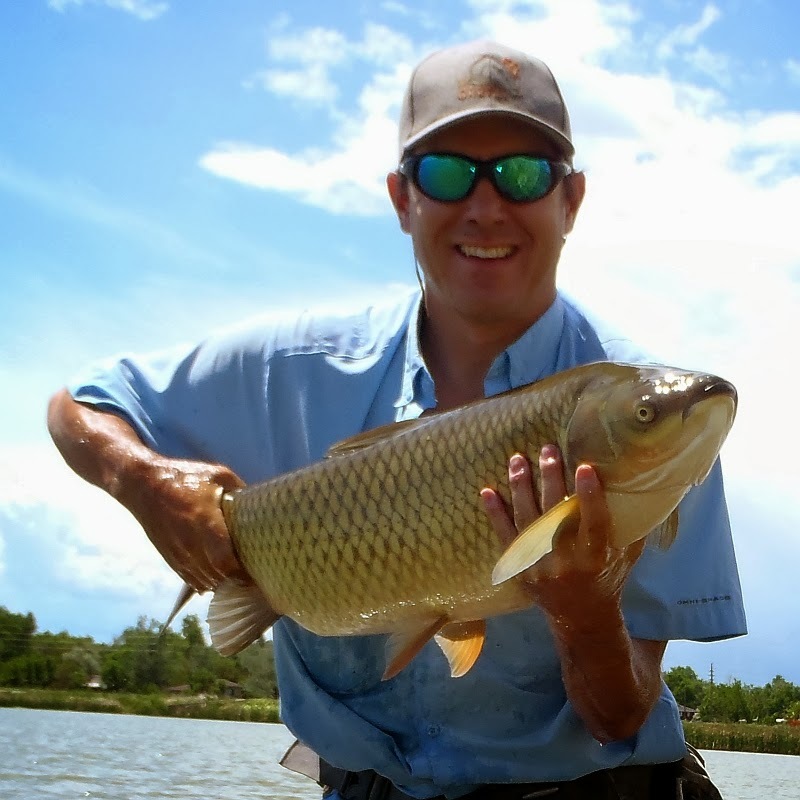 If I had a little better cross-species options in Colorado I would probably not focus totally on carp either. Oh yeah, certainly. 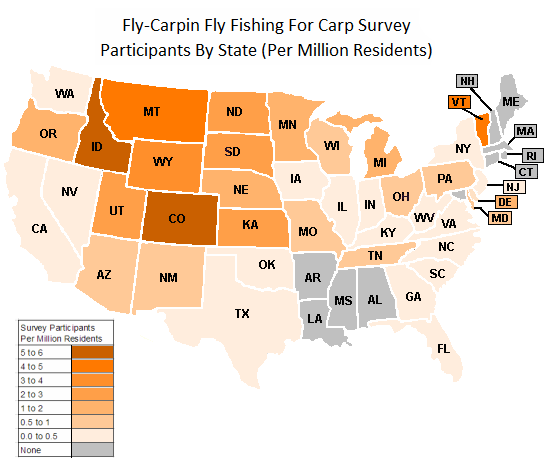 I am 100% sure there are actually carpers in every state, only a fraction of whom actually participated. I really like your blog. As for the survey, I think you have to be open to the idea that your own location probably affects your readership geography which in turn probably biases the survey. I thought long and hard about that. I agree that it almost certainly shades the results - but doubt that it changes any overall trends. The gap between the mountain states and the rest of the country is just so shockingly big I don't think it can be just because of where I live. Certainly a possibility though. 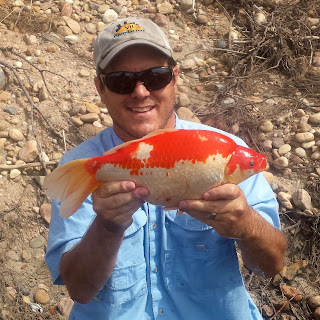 The species availability is certainly a factor that I have noticed; in Central and Northern Texas, carp are chased by a steeply growing number of anglers. 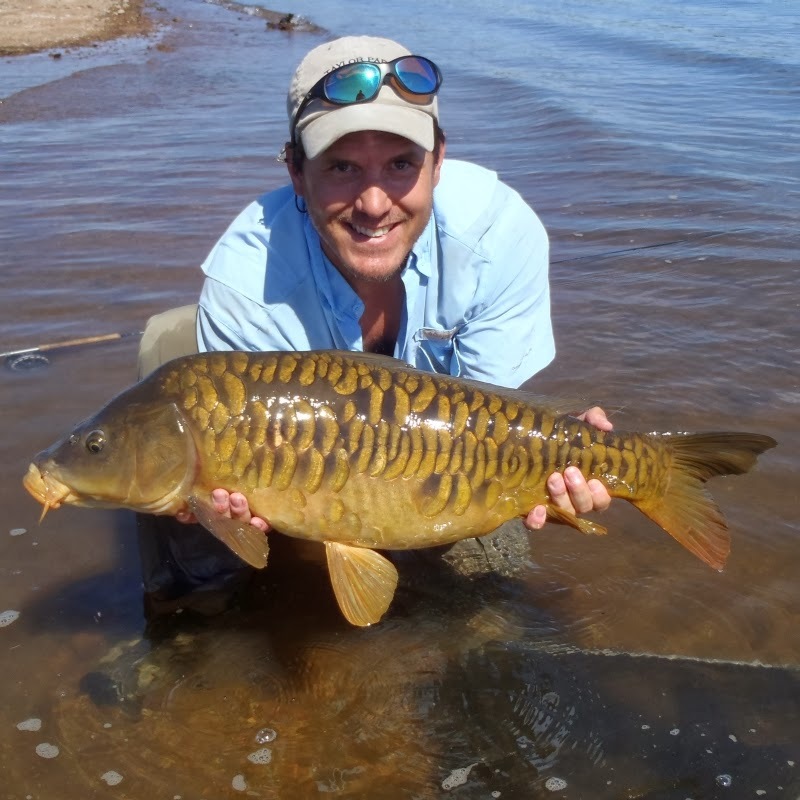 They count on carp to be the biggest, hardest fighting fish they can hook in the various small rivers that meander throughout the areas above. Closer to the coast you run into very dirty and increasingly saline water, plus availability of the same species mentioned above by Kirk. People just don't really think about carp here unless they're wanting to add to the Life Species List. All that being said, this survey and the results have kinda blown my mind a little. Thanks for putting it all together! I fish them for convenience and fun. When I run "errands" I'll stop at a canal for thirty minutes sometimes and throw to up to twenty or more fish and maybe hook one and when I get home I get to talk about how long the lines were in the grocery store. If I have a day to fish, I'm heading out for bass or saltwater fish. I'd love to fish carp in the lakes and streams up north. I've yet to find them in shallow ends of any lakes around here, that would be more fun because of the environment and not having to worry about hitting a car on the road with your backcast. I've been chasing carp here in Southeastern South Dakota for 6 years now, ironically I'm a Colorado transplant. 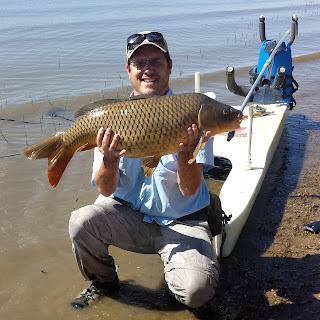 Lots of huge carp and lots of real fishable water. I mostly fish the Sioux River and have nailed some real giants. Fly fishing for carp is just as challenging and fun as trout.